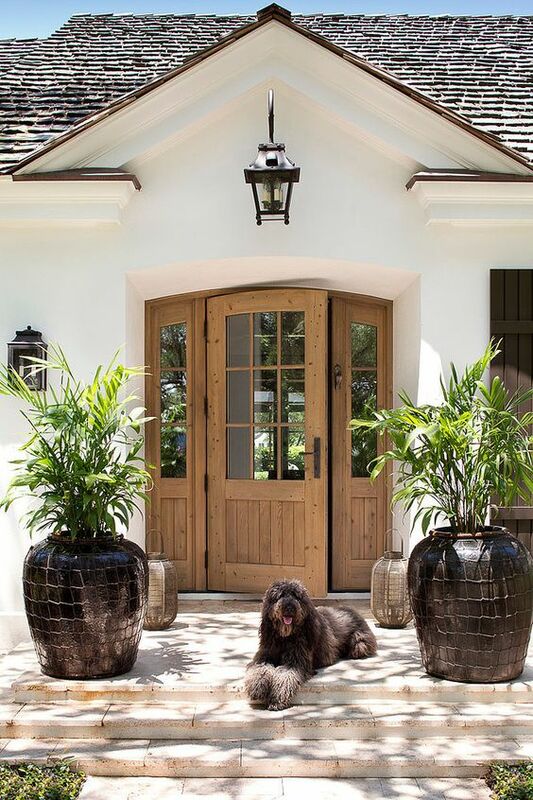 Having a beautiful entrance with a welcoming feel only adds to the romance of a custom home. Whether you have the luxury of a elegant front gate or prefer the up close feel of a front door complimented by a beautiful garden. 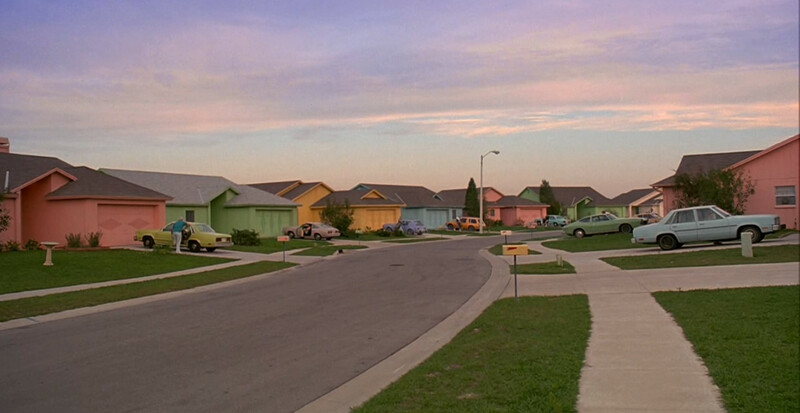 Gone are the days of the Edward Scissor Hand towns where every cookie cutter home and front door are the exact same, we are now in the age of unique homes with beautiful entrances. It's time to make your home shine from the first impression. Your front door is the first thing visitors see when they come to your home or drive past your house, why not make a statement. This will only build anticipation about what people can expect on the other side. A front door is an exterior part of your house, and therefore it needs to be able to handle whatever nature may throw at it. A good front door should be like a good man; solid, sturdy, reliable and able to withstand whatever gets thrown at it in the years to come. Using neutral hues such as brown, black, or grey may sound boring but are a classic choice that will withstand the test of time. 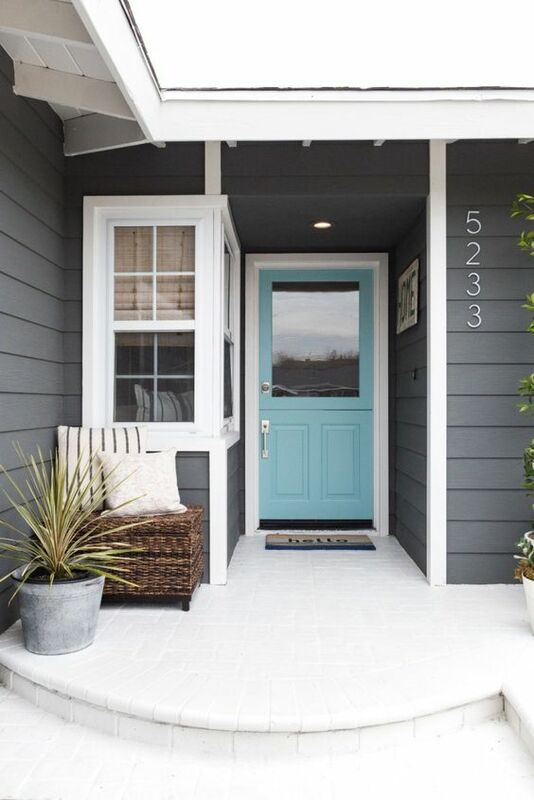 If your style changes or you alter your home’s exterior later, neutral hues will grow with you. Another neutral option is timber which will add warmth and be on trend for many years to come. 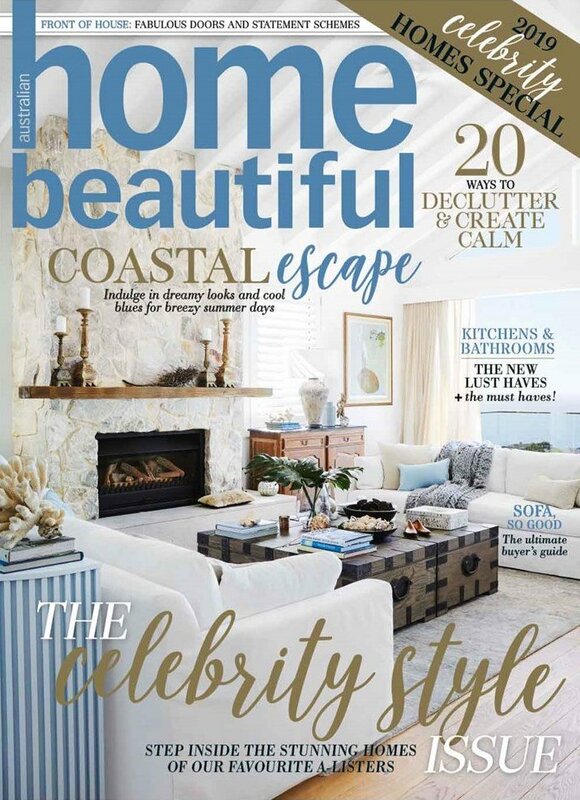 As mentioned in our 2019 Home Trends blog, nature will take centre stage this year. This will include soft neutrals such as white, cream, beige, earthy tones like deep ochre and forest green, natural timber and stone finishes. Combining a number of these elements together can give you the beautiful, welcoming feel you have dreamed of ever since you started designing your custom home. People often choose a front door colour because they think it might go better with their home's current colour scheme or the colour of the windows, and forget the fact that it happens to be a colour they've never really liked! 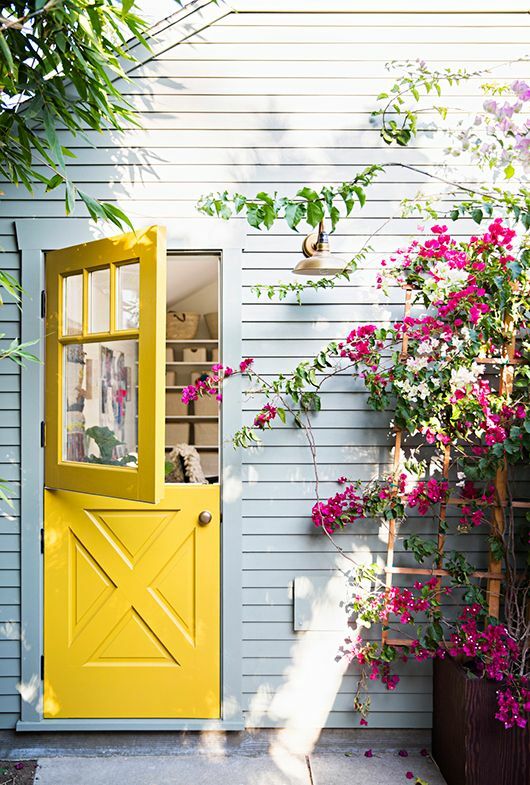 Even if the latest decorating magazine is promoting bright yellow front doors. For example, if you're not a fan of bright yellow, don't even consider it! "When choosing your front door think of your garage door as you handbag and your front door as your belt buckle. They need to compliment each other." 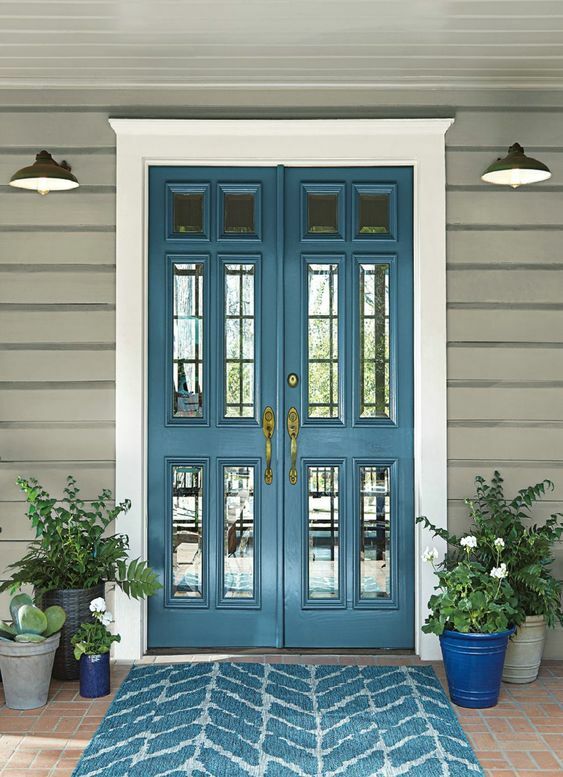 Your front door doesn’t have to be exactly the same as everything else but it does need to compliment your home. When it comes to colour, it isn’t as simple as picking a favourite shade or a lighter hue. If the selection process seems a bit overwhelming here are 3 steps to narrow down your choices. Create two boards on Pinterest one of home frontages you like even if it's not the style you are building and the second board for colour schemes. Open the two boards next to each other so you can see them side by side. Delete selections that you know wont work. Sometimes it's good to start with what you don't like then trying to decide on what you do. We always recommend to our clients to take into account the materials, colours, style, and surrounding landscape, For example; If you decide to go for the dry scape look then a timber door would be a great choice to compliment the natural earthy feel you're going for. In some cases paint isn’t going to look like it does on the paint sample, so when in doubt swatch it out! Test out a shade on every corner of the door so you can compare them side by side. 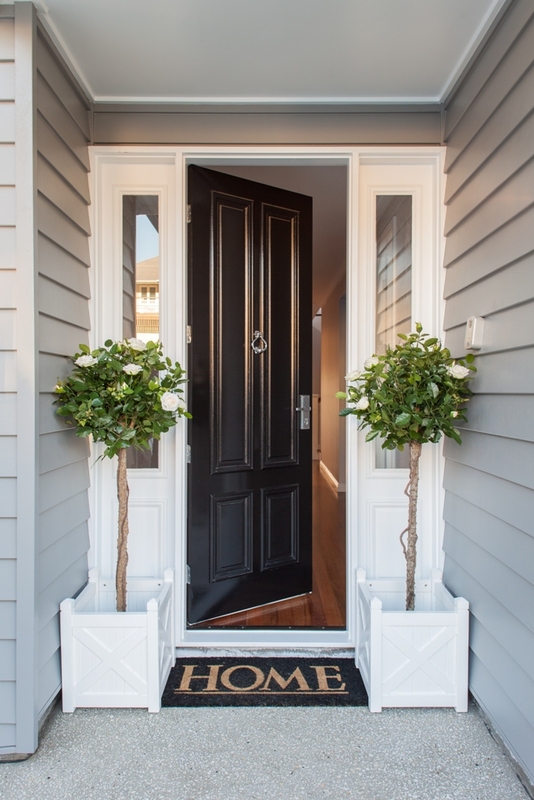 Then ask yourself the question, do you want your front door to stand out or would you prefer it to harmonise with your home's overall colour scheme? 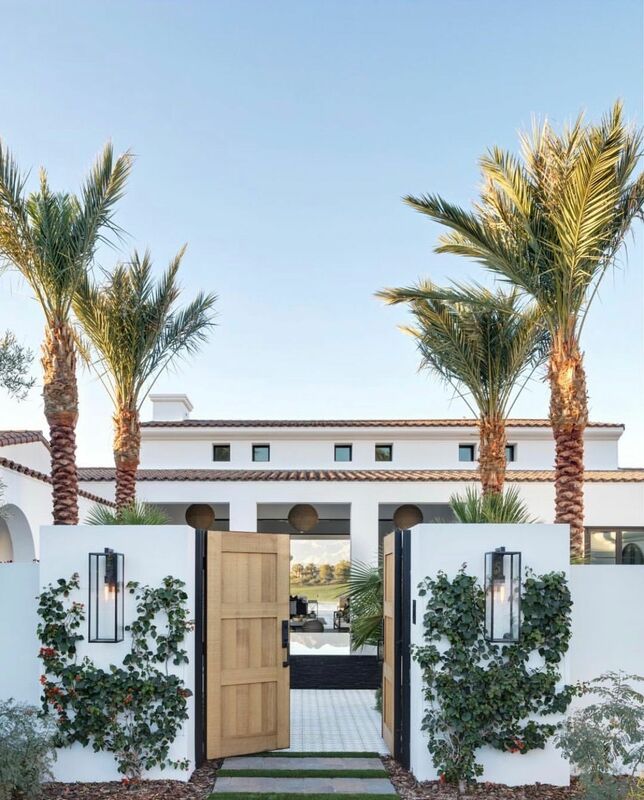 Outdoor Front Doors: "In subtropical homes, we're exploring the notion of no front door by moving it to the front gate with the use of gatehouses as dominant features." 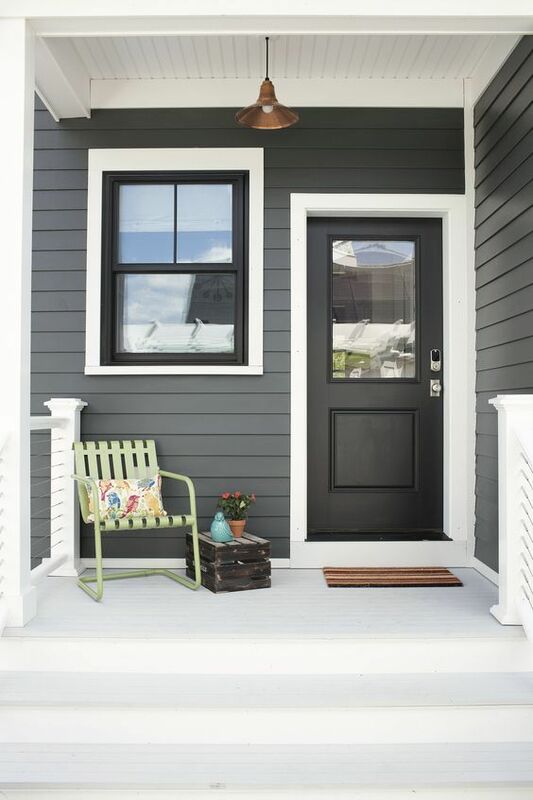 Custom Cladding: "By continuing the cladding that runs next to the front door onto the door, you get a really nice transition and instant impact"
East Coast Chic: The Hamptons trend is only getting bigger. "We're using lots of deep jewel tones, like inky navy and emerald green, plus pastel favourites like mint and soft pink." Sleek Simplicity: "There's new interest in minimal designs that are flat or have straight lines, mainly in bright colours to enhance neutral exterior schemes." 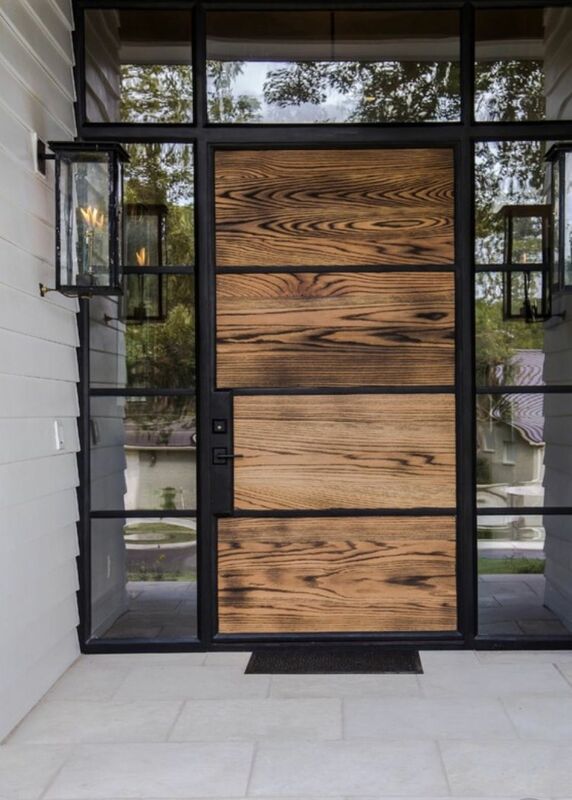 Cottage Charm: "Barn-style doors in solid timber fitted with black iron hardware are big right now"
There are so many different varieties in door locks now and when choosing your front door you should also take into consideration the handles your using through your home as well. You also have the option of keyless entry which is only going to get more popular over time. The popularity of smart locks has grown over recent years as people prefer not to carry keys around and be able to do everything from their phone. Having a smart lock makes getting into your house much more convenient and efficient. No more searching for your keys, losing them in your bag, or having to jiggle an old lock to open your front door. A smart lock works with a keypad, fingerprint, and most importantly your smartphone so you can open your door more efficiently. If you are looking to get a smart lock, WiredSmart discovered that the August Smart Lock Pro is one of the top rated locks. It has a sleek, modern design and allows you to keep the existing deadbolt on the exterior of your door. You can automatically lock and unlock your door with its proximity lock feature, which will trigger when you approach or move away from the lock with your smartphone.